Secretly hidden in a not-so-popular corner of Penang, Aromas Cafe recently opened its door at the Lebuh Tye Sin which located at George Town yet not so popular compared to those well known areas. Aromas Cafe is the newly joined tenant at the 4th Street Club, a new row of shophouses located at Lebuh Tye Sin. The menu in Aromas Cafe features an interesting fusion menu which consist of dishes from different regions. But most importantly and what attracted us the most are their homemade cakes that were lovely and presentable. The North Banquet 2016 - The Hosts & The VIPs is the very first Red Carpet Gala Dinner in Butterworth that ambitiously organised by CHTNetwork in collaboration with Ichi Media for the first time, established to identify the influential personalities as hosts and provide them a platform to invite their VIPs to this momentous Red Carpet Event in Butterworth, hence further promote various business industries such as tourism, manufacturing and hospitality to strengthen the economy and business opportunities both local and abroad. The North Banquet 2016 was held on 30th July 2016, Saturday at Sunway Carnival Convention Centre with great support from fellow sponsors :- Rado, Shiseido Professional, Lamborghini Kuala Lumpur, Sunway Hotel, Royals Blue and Airmas Group. Other supporting sponsors included GST Group, Gartien, Starbucks, Redbox Karaoke, One East Museum, Passionis and DCOVA. Over 300 leaders and guests from various industries together with the media attended this Prestigious Red Carpet Event. It is my pleasure to be able to attend to this event as a part of the media team. Rado HyperChrome Automatic Chronograph Match Point - a limited edition of tennis-inspired plasma high-tech ceramic watch with only 999 pieces available in the whole world. It is also the official watch of the Kremlin Cup by Bank of Moscow and the Erste Bank Open (ATP Vienna). The design is pretty impressive too and one that wears it could show their status and wealth, I believe every men who love watches will fall for it. It is a limited edition hence will be very valuable in the future. This lovely piece was auctioned at the event and sold to a gentleman that could pair with it perfectly. A lovely piece of jewellery that specially crafted and designed to celebrate the success story of The North Banquet. It was auctioned at a very high bid price at the event and fell into the hand of a lovely lady. Relationship, a bronze sculptures from One East Museum’s Founder Ch’ng Huck Theng’s were also auctioned at the event. It is one lovely art piece that is perfect for collection. Shiseido Professional is also part of the sponsored teams that made the event so successful with their products and also hair shows that presented in front of all VIPs. The event was held at the Sunway Carnival Mall Convention Centre that can caters to big groups with their comfortable and spacious grand hall. Beautiful set up at the VIPs table. I kinda like the theme of the event that made the night looks grand and elegant. Welcome treats by Passionis. There are 2 pralines that was perfect for a sweet treat! Speech by Ch'ng Huck Teng, the founder of CHT Network. The event featured a spectacular Hair & Fashion Show (Theme: Evolution of the 60s) collaborated by Shiseido Professional, Signature Hair Expert and renowned fashion designer Richard Rivalee. It showcased the vogue and elegant vintage 1960s hairstyle with stunning and dramatic impression, using huge smooth high and low bun techniques. I have to say that it is really impressive and amazed to see all the beautiful garments specially crafted for the event, not forgetting the beautiful hairdos and the live hair show that made the night rather special and interesting! Meanwhile, Petr Feher, a European-born Celebrity Chef with over 20 years of culinary experience who is also the Executive Chef at Siam Kempinski Hotel Bangkok and the Fine Food Consultant of GST Group has designed the fine dining menu for the gala dinner. Featuring the freshest flavours from the fresh seafood supplied by GST, this dish made a great starter and perfectly fit for the elegant event with such luxurious dish. A rather smooth and creamy in texture and every spoonful made me felt so hearty. Another refreshing dish that can bring out the freshest taste of seafood and blended well with the sides and sauce. Simply refreshing and get you ready for your mains! The unique coffee table book featuring both sponsors and the hosts was unveiled on the night to commemorate this important event and the books were distributed to every guest to achieve maximum exposure for the sponsors and hosts. On the stage are all the influential members and award winners for the night. Their amazing performances at respective industries have made them great people with great reputations. A flavourful combination that features surf and turf on the dish that beautifully crafted for the event. This special 5-course menu are specially prepared only to serve the VIPs for the event. A perfect sweet treat to end the night with. Chocolate lovers would not want to miss this lovely dessert. It is something you wouldn't want to miss even though you are pretty full from the previous courses. 13 Influential Captains from different industries ranging from manufacturing to hospitality were honoured as The Hosts of the night. This one-of-its-kind Red Carpet Gala Dinner provided them with an evening of extensive networking to develop new customer prospects, reward their key clients and friends with a VIP experience and connect with the most influential personalities. 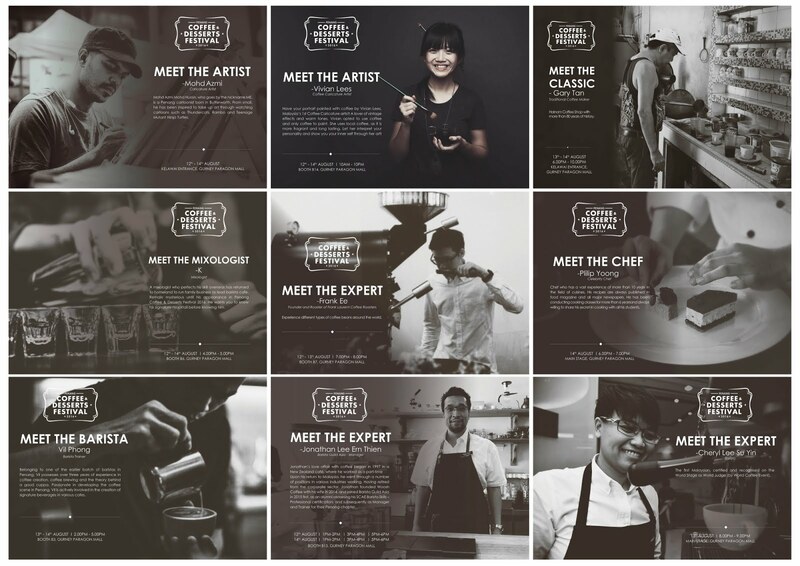 CHTNetwork with the motto “Where All Good Things in Life Meet...”, founded by Ch’ng Huck Theng, is the host of CHT Awards, iNPenang Awards and PIE Awards. All the past events were very successful and were covered by all major press and news networks in Malaysia, such as NTV7, 8TV, The Star, The New Straits Times, etc. CHTNetwork has also worked with many high brands such as MATRADE, Ulysse Nardin, Rado, Fujifilm, Kollektion, Jaeger-LeCoultre, Amee Philips, Lamborghini Kuala Lumpur, Nasim Carpets, etc. Exclusive Luxury, Enriching Life. Ichi Media promotes the fabulous and luxuries in life, while being the frontier of branding and creating competitive platform for the best. With diversified strategies, Ichi Media also promotes cross-platform branding where publishing, digital and business networking come in one to achieve optimum results. Penang Coffee & Desserts Festival is back! Endorsed by the Penang State Goverment, Penang Coffee & Desserts Festival 2016 is back in Gurney Paragon Mall this year with bigger surprise and bringing together more coffee and dessert for all the coffee and dessert lovers. 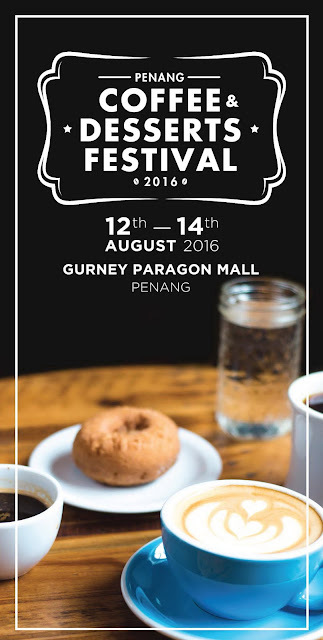 Happening from 12th to 14th August 2016 (Friday - Sunday), this festival is gonna bring you a whole new experience by putting together quite a number of well known brands in Penang to bring you all the mouth-watering desserts and aromatic coffee. 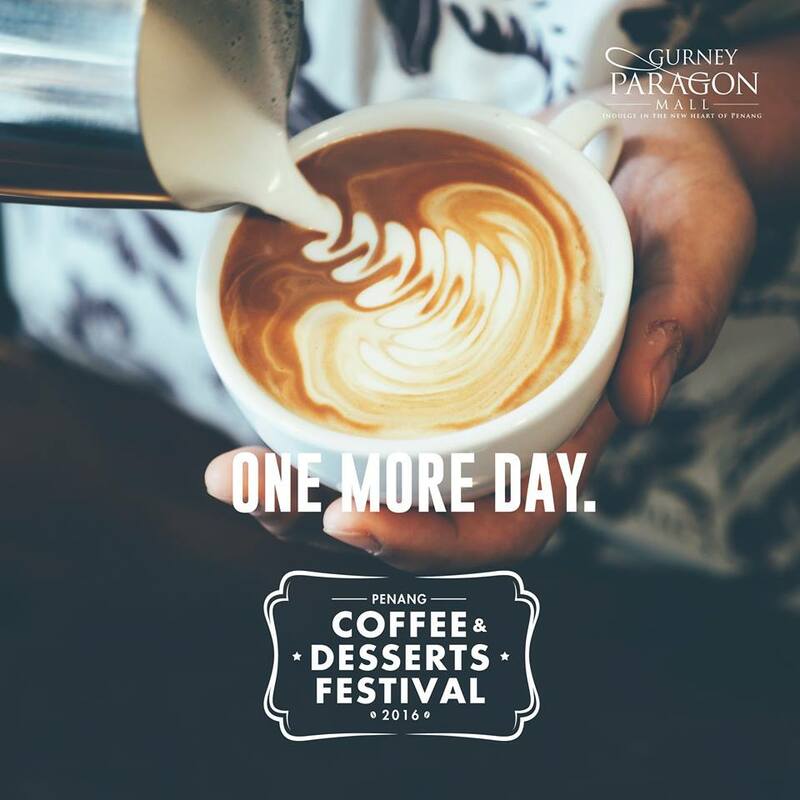 It's time for us to indulge ourselves in this festival and fill our stomachs with some attractive coffee & desserts brought together by Gurney Paragon Mall. Mainly all the popular food trucks and brands in Penang and Kuala Lumpur that serve delicious desserts and exotic coffee. One of the highlights of the event will be none other than the very first Nitrogen Ice Cream maker in Penang, The Safe Room! Being famous for both coffee and the special desserts, The Safe Room will sure bring some excitement to the event itself with some desserts full with surprises. Dragon’s Breath – caramel flavoured popcorn infused with liquid nitrogen. A rather interesting combination that you get the crispy but cold popcorn. I'm amazed how they maintain it's crispiness even after they have infused it with liquid nitrogen. Holding the bowl almost freeze my fingers but it was fun to play with. 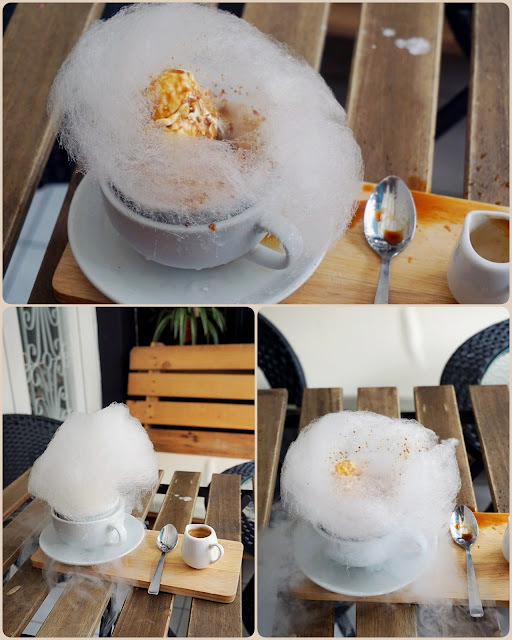 One of their newly launched dessert would be the Cloud 9 Dream Affogato that infused with liquid nitrogen, their signature way of serving their dishes. This would be another highlight presented by The Safe Room. The whole thing looks rather dreamy covered with cotton candy and it is also fun to play with when you pour and melt it down with espresso. Other highlights of the event are as follow, including some live presentations and performances that are gonna be very interesting especially to coffee & dessert enthusiasts. 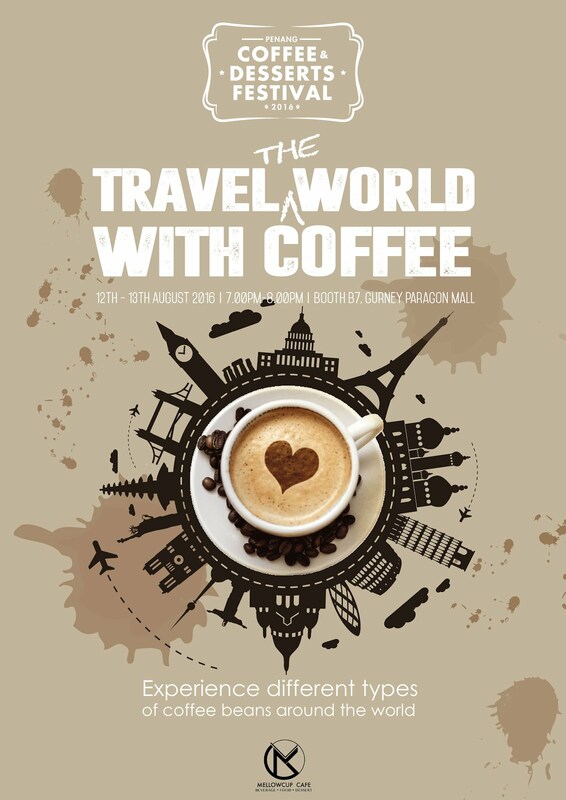 Also, you will get to meet several experts in coffee & desserts during the event. They are the ones that kept Coffee industry in Penang growing. Don't miss this chance to meet them personally and they are also open to questions during the event! 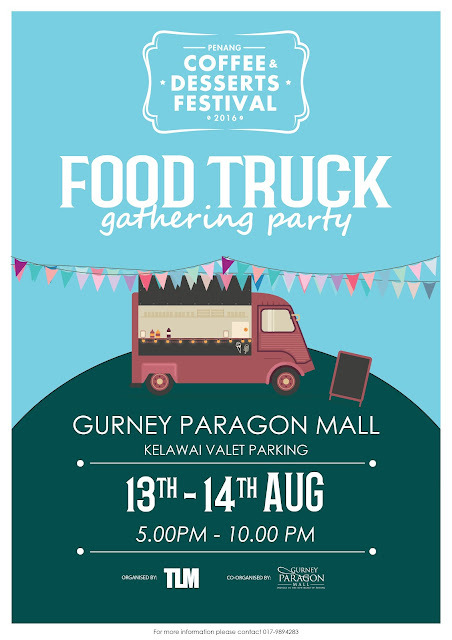 This event is gonna be very interesting as it not only feature the popular food trucks in Penang but also bringing some of the food trucks from KL. 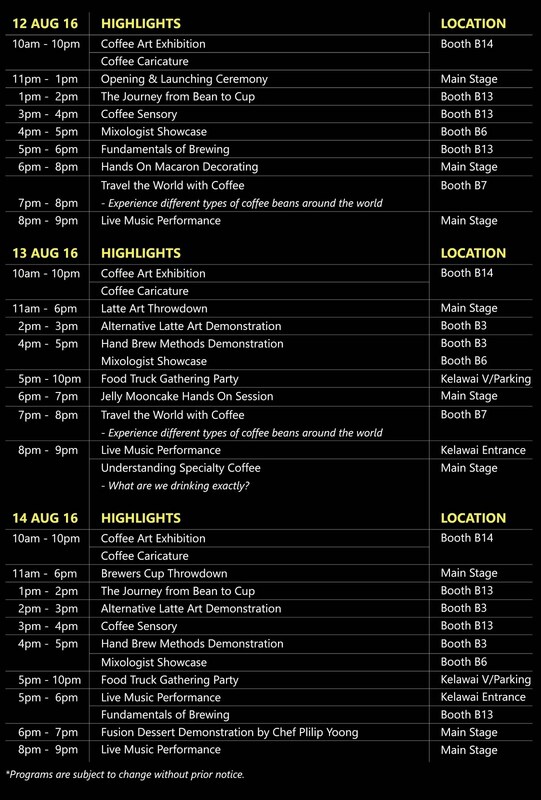 It will be our great chance to explore what is available in KL too and also bring a greater exposure for the food truck industry! 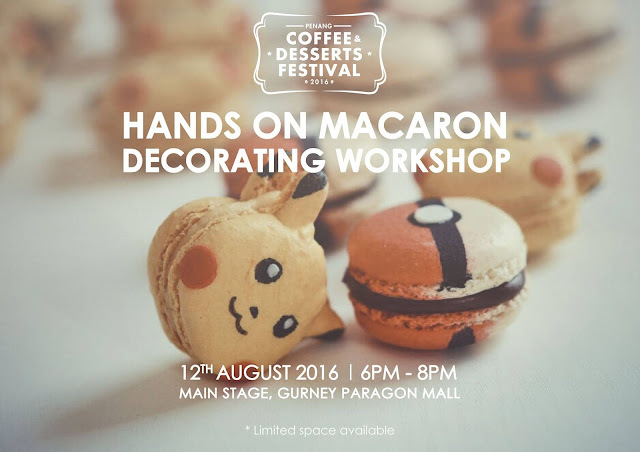 So don't forget to head over to Gurney Paragon Mall this weekend from 10:00am to 9:00pm. 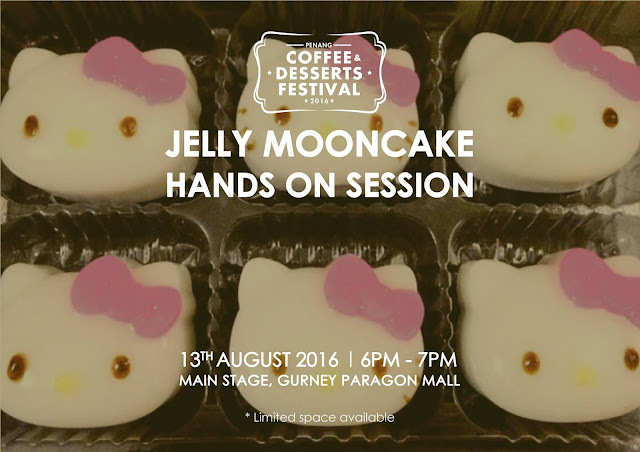 This will be a 3 full-day event and you MUST fill yourself up with all the goodies! P/S: I will also be doing some Instagram Stories tomorrow featuring all the goodies I'm going to explore tomorrow so do stay updated with my Instagram from 11:00am to 1:00pm tomorrow to know more! Secretly hidden in a few malls in Kuala Lumpur and Petaling Jaya, 有間麵館 Go Noodle House have been loved by many locals and famous for their delicious noodles. 50480 Kuala Lumpur, Wilayah Persekutuan Kuala Lumpur, Malaysia. 58000 Kuala Lumpur, Wilayah Persekutuan Kuala Lumpur, Malaysia. I have personally visited the one in 1 Utama Shopping Centre but not the other outlets yet. Was actually introduced by my friend Ceddy and kept seeing him posted on his Facebook saying that this restaurant is good and highly recommended, so I thought of giving it a try and then I too like the restaurant after that. The one in 1 Utama is located at the Lower Ground Floor, where it is next to the basement carpark escalator at the New Wing of 1 Utama Shopping Centre. You can see a very classic entrance if you are walking around the area. The restaurant is rather spacious with plenty of tables available. But also if you are coming at peak hours(lunch / dinner), do expect some queue or very busy outlet. Food may take some time to arrive at your table. I've tried their very special drink, 糯米香普洱 In House Pu Er Tea(RM2.30) that has a mild fragrant of glutinous in the Pu Er Tea. It is rather good to have it with a heavy meal to cleanse your tummy and wash down the extra fats. I've visited 2 times but I didn't take any picture during my first visit. My second visit alone I've ordered this 三鲜汤爆酱丸 Superior Soup Bursting Meat Ball (RM10.40) which the name has successfully attracted me. You will get to choose the noodle of your choice whether you want thin bihun or thick bihun or other types of noodle it is up to you. It is also available in spicy soup too if you like something hot. The portion that presented to me gave me quite a shocked and it was very big bowl and the meatballs are huge! Springy and perfectly cooked thick bihun. Just perfect to my liking, and the soup was rather flavourful, they must have boil it for some time before they serve it with the noodle. The must have item is their bursting meatballs. They are pork meatballs and really good! Take a bite and the juice will pop in your mouth! Becareful if it is hot! It was a fine Sunday afternoon that everybody is looking for lunch. We dropped by at Bangsar area to look for lunch as was particularly attracted by the long queue outside this restaurant called Restaurant Sri Nirwana Maju, which apparently been very famous for their banana leaf rice around the neighbourhood. Restaurant Sri Nirwana Maju is located at the very busy area of Bangsar, it could be very difficult to find a parking if you are here during peak hours especially lunch time. There are a few banana leaf rice restaurant around the same area, so do not get confuse by them, though all the food they serve are about the same. Restaurant Sri Nirwana Maju would be the one. The queue was rather long that many people stood outside the restaurant and even under the sun just to wait for a table. You might want to consider going early or during off peak hours if you don't want to wait in queue. But I didn't regret queuing for it. Restaurant Sri Nirwana Maju is somewhere around Bangsar Village Mall 1 or Bangsar Village Mall 2, you just gotta get to that area and slowly find the place. It may be a bit difficult to find but you just gotta find it if you are craving for it. This is how they you will be served! There will be plain white rice, 3 types of vegetables (cucumber, long beans and fried bitter gourd) maybe vary every day and 3 types of curry(vegetarian curry, fish curry or chicken curry). That's not all! You will also get papadam(my favourite) and their signature homemade fried salted dried chili & pickles too. A set of banana leaf rice that consists all the delicious sides with free-refill basis at only RM7.50!!! 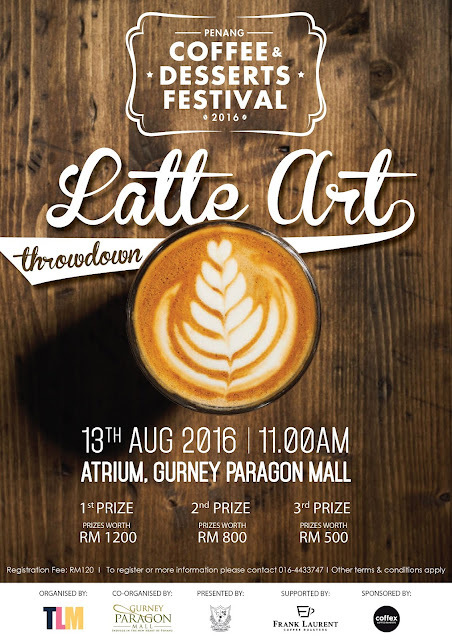 and furthermore this is in KL! Not even in Penang you can get such cheap great deal! Ready to dig in with your hands? You can also ask for cutleries if you do not want to eat with hands, but what's the fun of having banana leaf rice then? There are variety of side dishes available at the restaurant too. We have ordered the Sotong with Onions at RM9.50 per plate and judging on the portion we get it is rather pocket-friendly. Not to mention that the sotong was properly seasoned and rather flavourful, but also very fresh and chewy, just cooked to perfection and at the right texture. Many people out there could not get a squid cooked perfectly. I've also ordered another chicken dish and it was Chicken Masala if I'm not mistaken. I also forgot the price of this dish, should be about RM8.00 for a plate of 5pieces of chicken. The chicken was soft and tender after long hours of cooking, the sauce just went deep into the meat that made the chicken so flavourful, though it could be a little bit salty. Also I've found a video interview about Restaurant Sri Nirwana Maju which was published recently by CoconutTV. It was the owner that was interviewed and she was really nice! She personally work for the restaurant and run the restaurant with her staffs, she was friendly and welcoming though the restaurant was really busy! My overall experience at the Restaurant Sri Nirwana Maju was a lovely one. I would really want to go back and revisit this restaurant one day. So any of you would like to bring me there again? Address: 43, Jalan Telawi 3, Bangsar Baru, 59100 Kuala Lumpur, Malaysia.